The United States has over 30,000 miles of improved waterways—some of the finest boating to be found anywhere. This seminar introduces boaters to this inland cruising world. The seminar deals with such varied topics as special navigation rules for rivers, the Western Rivers System of buoys and marks, river currents, “reading” a river, jetties and wing dams, the intricacies of locking through, and communicating with lock masters and bridge tenders. 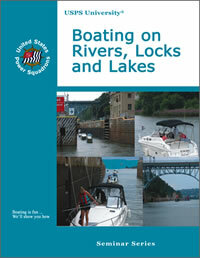 Learn about your local waters from experienced inland boaters. Each student receives a full color Student Guide especially written for the seminar. View the trifold brochure here. Locate a Seminar near you.